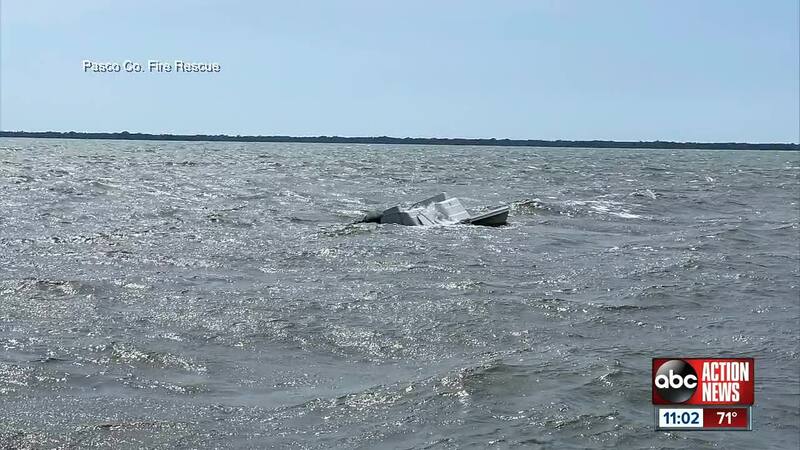 A boat accident sent 13 people into the water, and two to the hospital, near Anclote Key over the weekend. 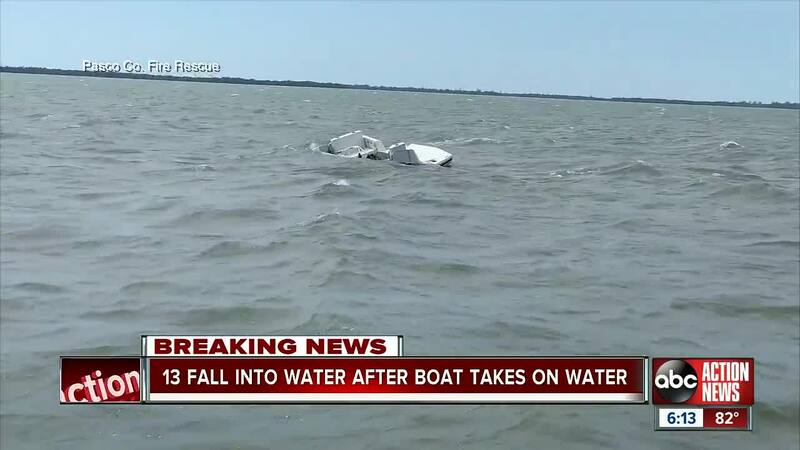 PASCO COUNTY, Fla. — A boat accident sent 13 people into the water, and two to the hospital, near Anclote Key over the weekend. On Sunday, multiple agencies responded after the 20-foot fiberglass pontoon took on water, sending the people on board in too, according to Pasco Fire Rescue. The Pasco County Sheriff's Office said their Marine Unit rescued 10 of the 13 individuals. 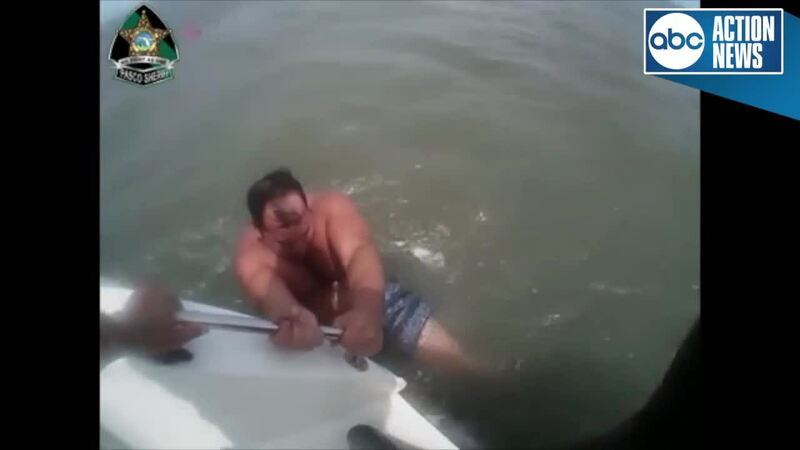 The boaters said as soon as they realized the gulf waters were too rough, they turned around. “The boat sank before we could even hit mayday. It was within 30 seconds," said Loryn Decker. The Pasco Sheriff’s Office's marine unit got to them in about 10 minutes. The boaters might not have lasted much longer as a few of them did not know how to swim. Some wore their life jackets incorrectly or didn't have one at all. “If you get one person in the water and you get them out, it’s a good day, but to do it 13 times, without anyone seriously injured is a miracle. They obviously had someone watching out for the," said Cpl. Mitch Boloenbacher. 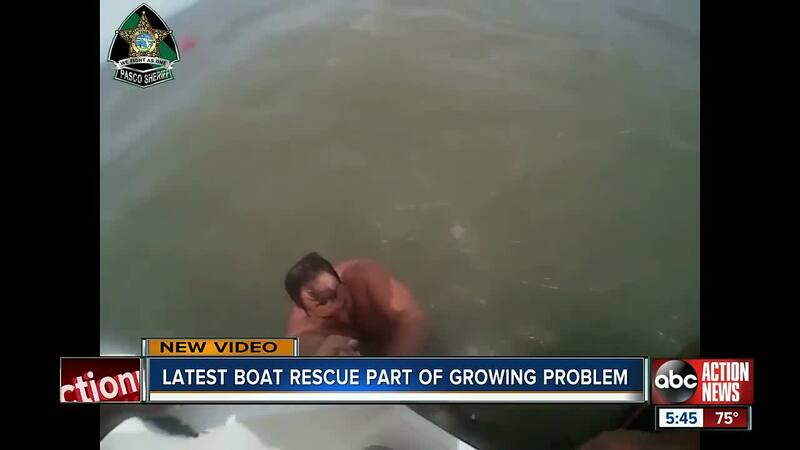 A private boater, Martin Smith, got to the group first and rescued three of them. “God bless him and thank God for him because if it wasn’t for him, I don’t know where we’d be right now,” said Richard Basta. And a sightseeing boat, the Dolphin Odyssey 2 threw out life jackets. Deputies say there was a small boat advisory in the area Sunday, with three foot waves and the boaters should have never gone out. “It was a lot rougher than you think. There were probably 25 mile an hour winds,” said Cpl. Russ Meissner. This was the latest in a busy stretch of water rescues. Deputies say besides the 13 on Sunday, they had to rescue 17 other boaters last week alone. “People want to just get outside. They are just not paying attention to the weather whatsoever,” Meissner said. The Marine Unit wasn’t far because they were at a ceremony blessing their boat. They got their blessing and then made the rescue.